Not one could tell you what it’s all about. Air you might need, sun and water maybe. A kite is yours as the thread will let be. Beauty and color they never have thought. Hold tight not, let it be and see. That’s love. 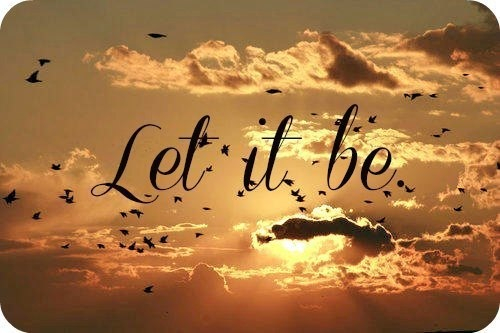 Don’t start with “let it be”. haha Start with “let it a.” LOL! Happy new year too! Let it A indeed. That made me smile. Lovely prose. thank you. I might as well write something about Let It A due to insistent public demand LOL or maybe Let It C.
Let it be.. Let it be.. Let it be.. Let it be.. This is a LOVE-ly post! I very much looove the last two lines. Hold tight not, let it be and see. That’s love.” — indeed!